THE IRISH MEDICINES Board has said that it’s investigating 13 possible cases of narcolepsy and their connection to the administration of the swine flu vaccine. The European Medicines Agency (EMA) has completed a review into the use of the drug Pandemrix to establish if there is a link between it and cases of narcolepsy in young people in Sweden and Finland. The agency concluded that there is a link between the sleeping disorder and the administration of the vaccine to children and young adults. It said that there was a “six to 13-fold increased risk of narcolepsy” in those vaccinated in that age group, as opposed to those not vaccinated. It has recommended that people under the age of 20 should not be given Pandemrix unless other influenza vaccines are unavailable and they are at high risk of infection. The Irish Independent reports that the Irish Medical Board is looking into 13 cases of narcolepsy in people who were given the swine flu vaccine. The vaccine is likely to have interacted with genetic or environmental factors which might raise the risk of narcolepsy, and other factors may have contributed to the results. 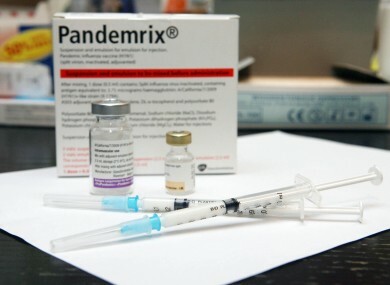 The Irish Pharmaceutical Union has defended the use of Pandemrix, and said that the risk of swine flu was greater than the risk presented by the drug, reports Breaking News. In March the HSE sent a letter to GPs advising them that all stocks of Pandemrix were to be returned, and said that the Irish Medicines Board was investigating a number of cases of suspected narcolepsy and their possible connection to the drug. BBC reports that ten cases of suspected narcolepsy linked to the swine flu vaccine have been reported to the UK drug regulator. Email “European medicines watchdog says swine flu jab not suitable for children”. Feedback on “European medicines watchdog says swine flu jab not suitable for children”.